Fotografije dana: 23. maj 2016. 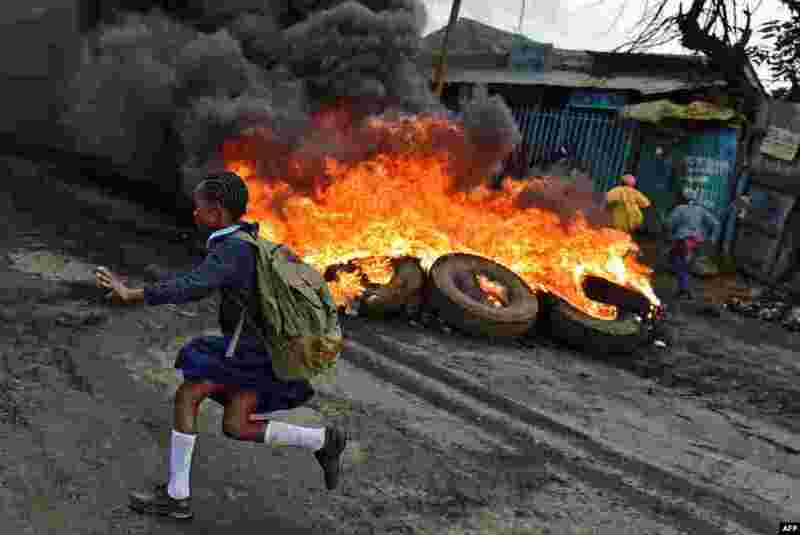 1 A schoolgirl runs past a burning barricade in Kibera slum in Nairobi, Kenya, during a demonstration of opposition supporters protesting for a change of leadership ahead of next year's election. 2 People rappel from a bridge during a rescue training exercise in Chongqing, China, May 22, 2016. 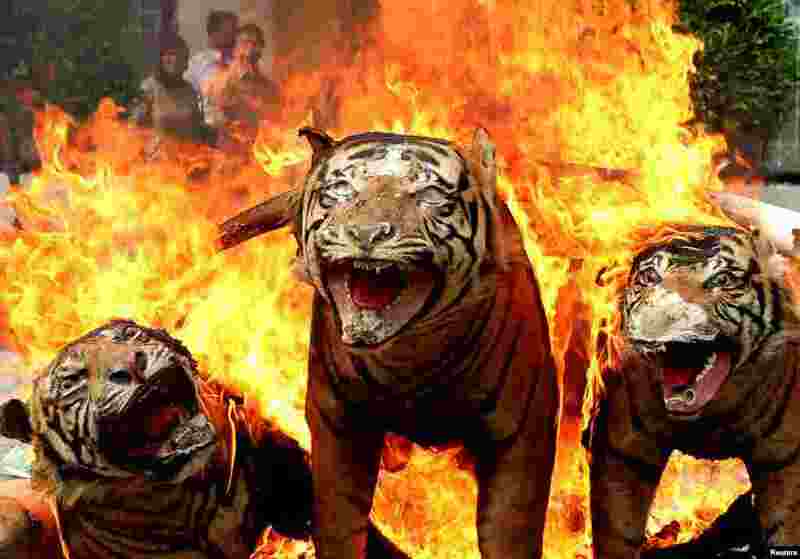 3 Rare and protected wildlife products that have been confiscated, such as stuffed Sumatran tiger skins, are burned during a ceremony by government forestry and wildlife officials in Banda Aceh, Aceh province, Indonesia, in this photo taken by Antara Foto. 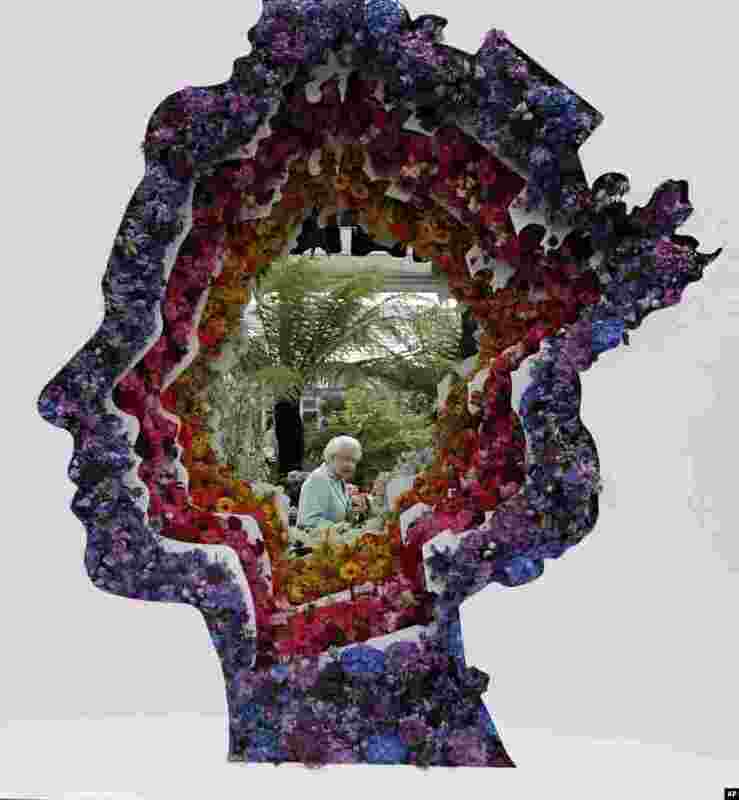 4 Britain's Queen Elizabeth is pictured through a gap in a floral exhibit by the New Covent Garden Flower Market at the 2016 Chelsea Flower Show in central London.